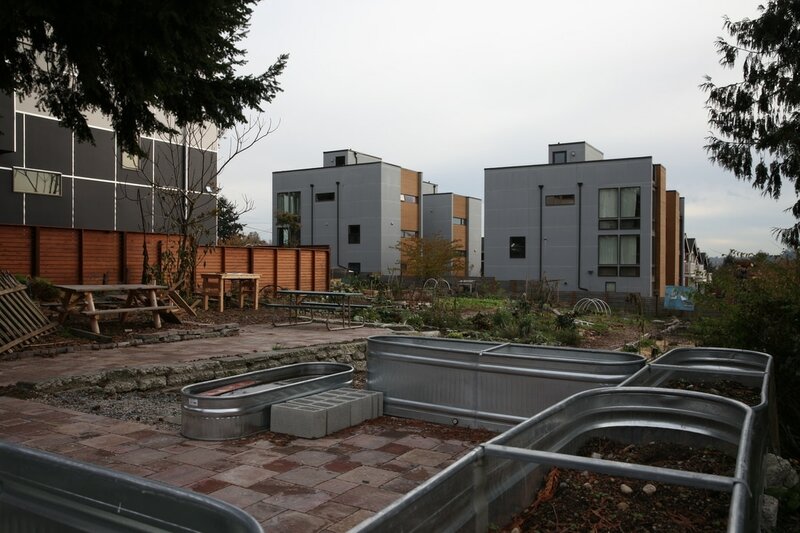 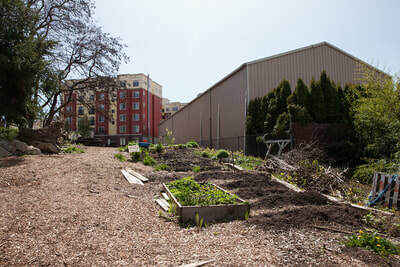 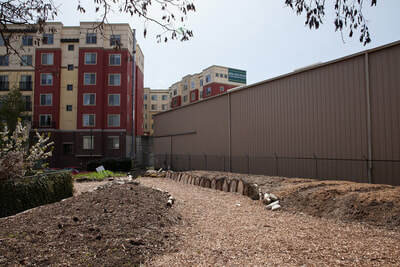 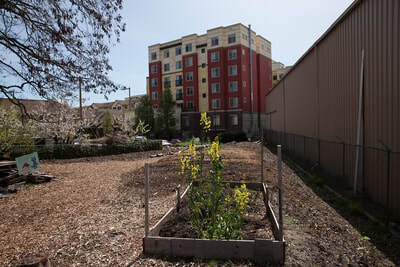 Wetmore Community Garden: We worked with Alley Cat Acres to design and install this urban farm space at the dead-end of Wetmore Ave S. This undeveloped right of way, owned by Seattle Department of Transportation, was primarily a huge overgrowth of invasive species including knotweed. With the help of the Moore family (long time residents of the neighborhood) and a long list of volunteers, Alley Cat Acres are creating an accessible entrance, garden beds, and a winding pathway through the space. 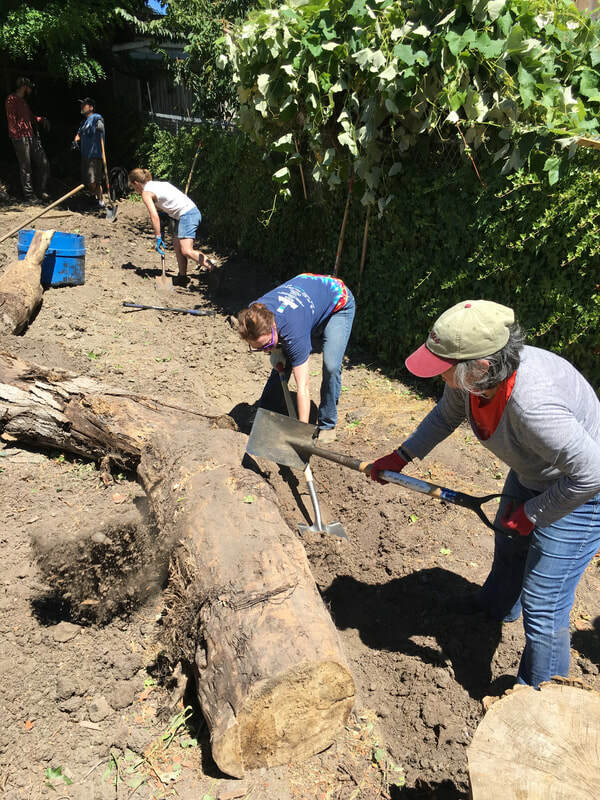 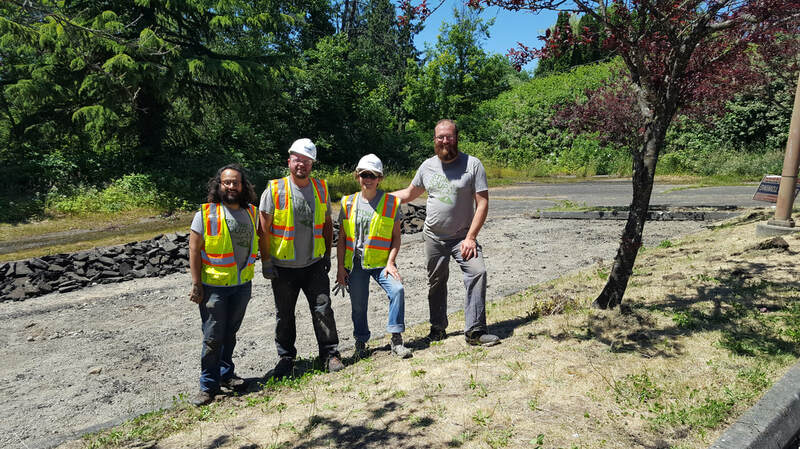 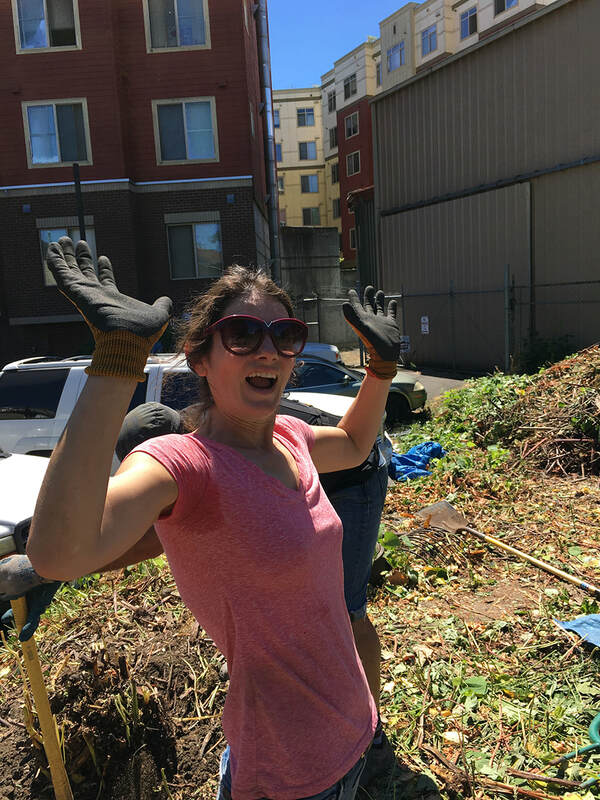 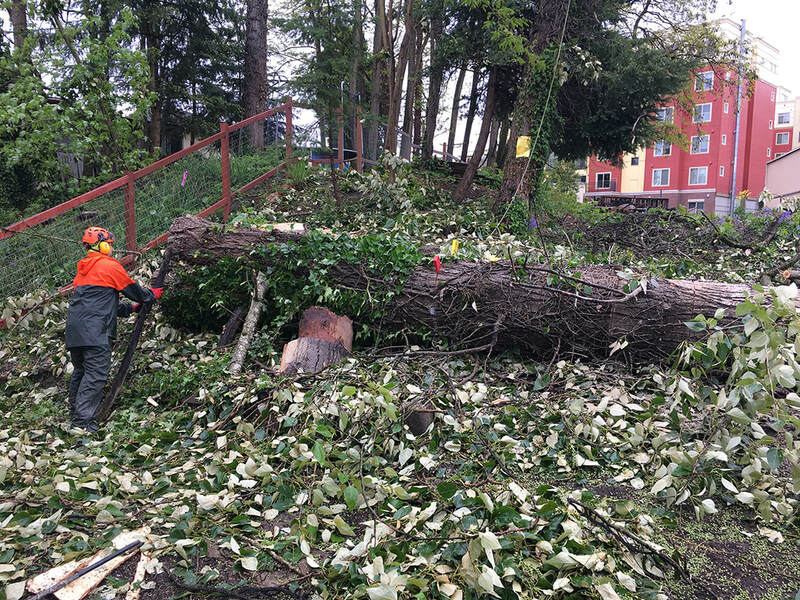 We recruited community members from Senior Housing Assistance Group, Rainier Valley Food Bank, Homesight WA, and the Estelle Street P-patch to help design the space, and assisted in leading volunteers on an invasive species removal work party. 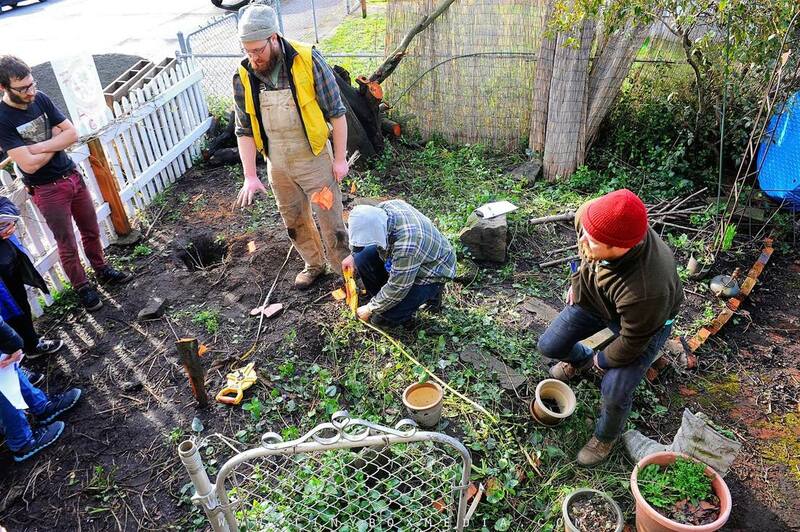 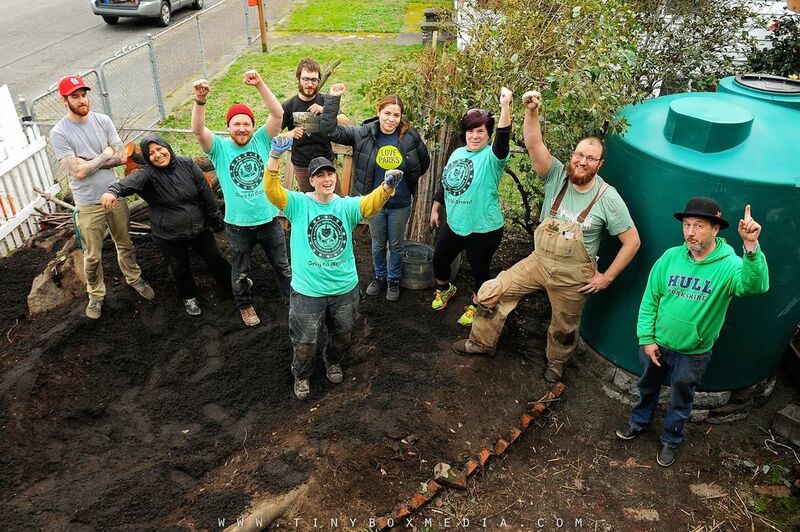 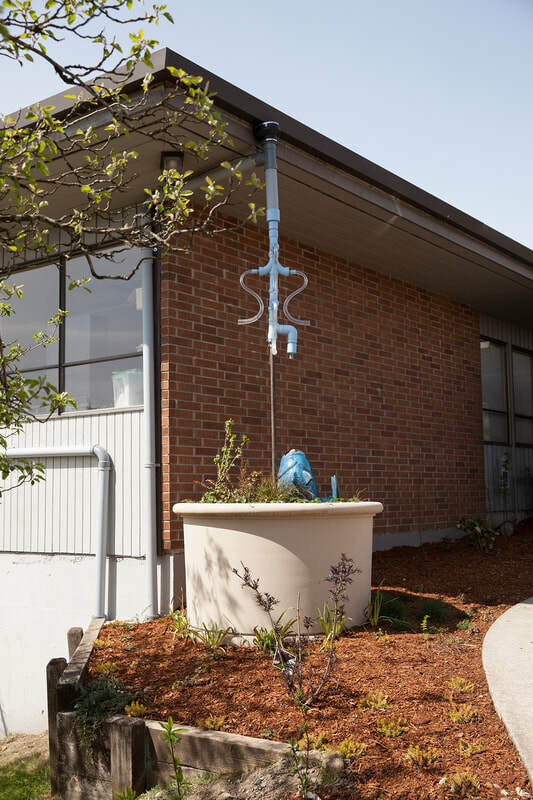 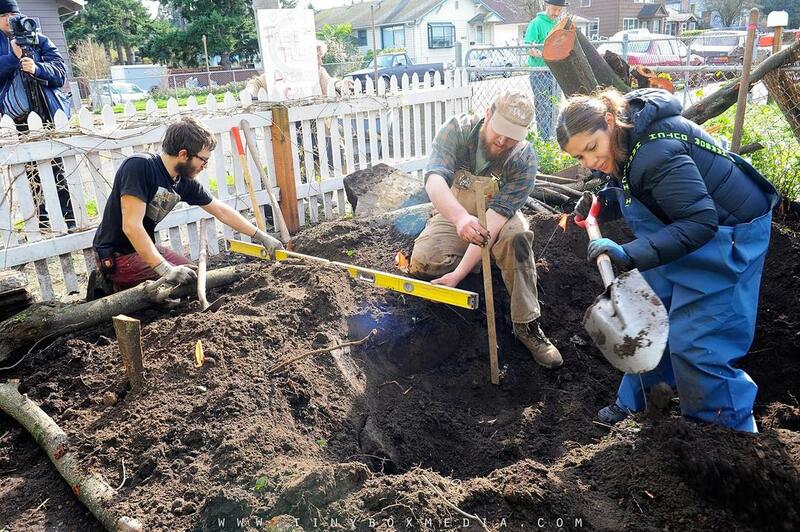 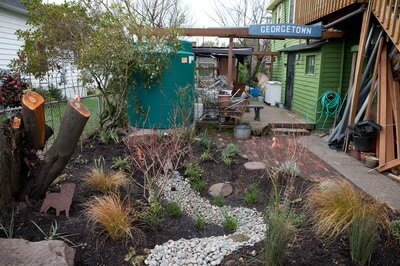 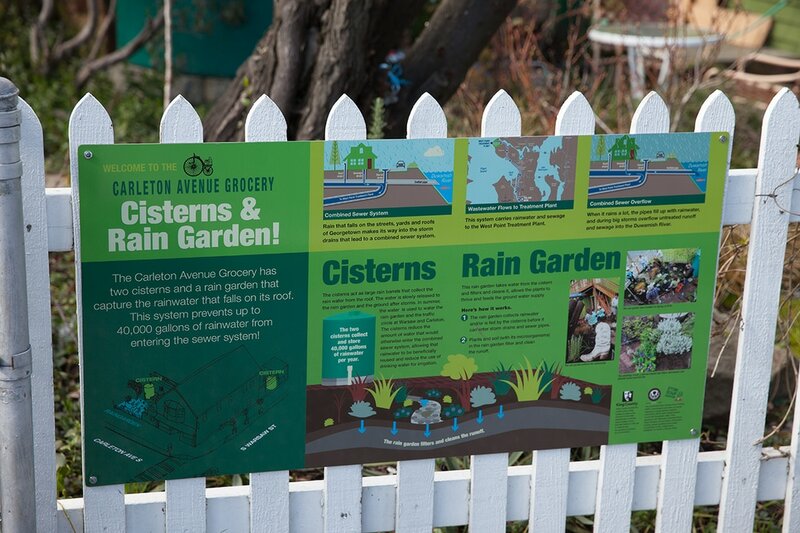 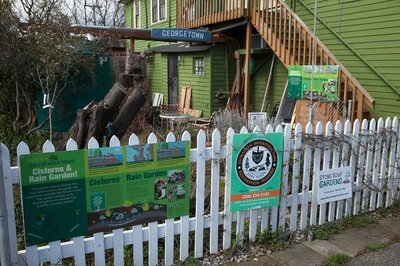 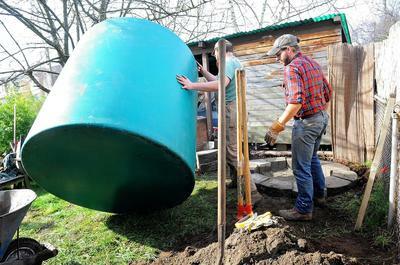 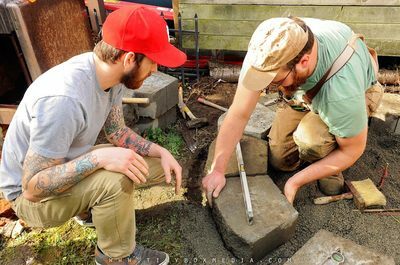 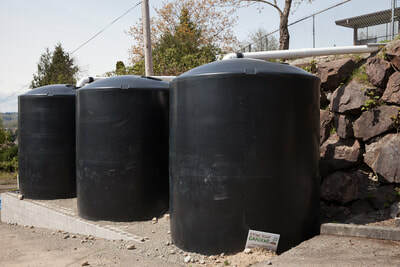 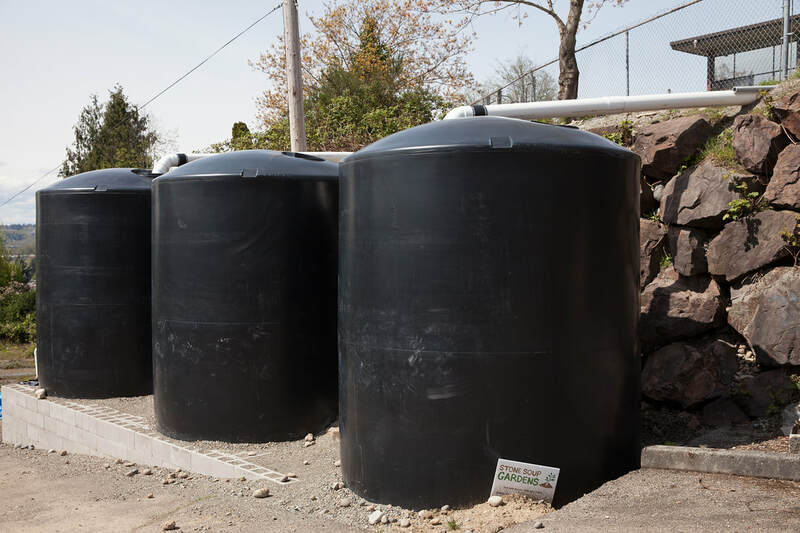 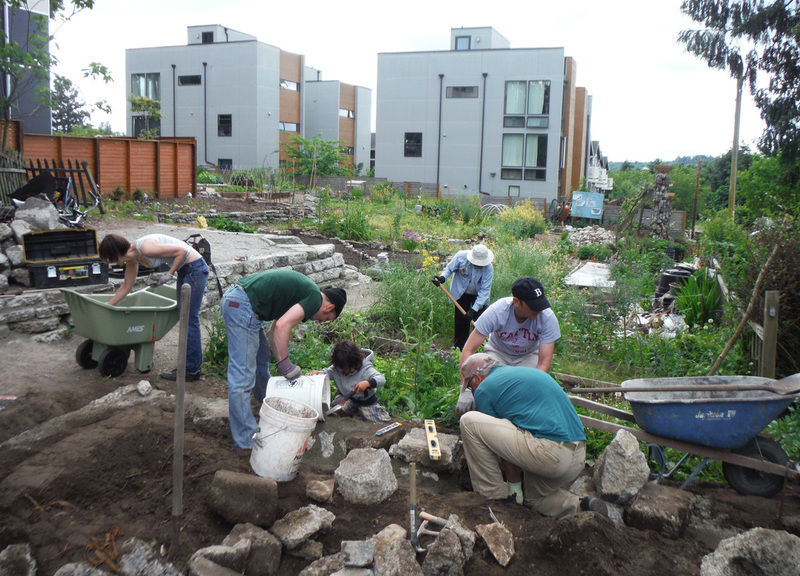 ​DIRT Corp and Carleton Grocery: Through evening classes and field experience, Stone Soup Gardens taught students how to design and install two cisterns, an arborduct, and a raingarden at Carleton Avenue Grocery in the Georgetown neighborhood. 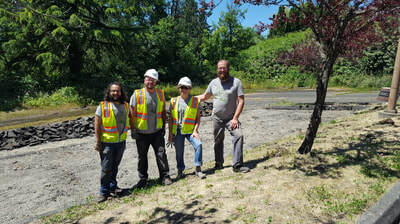 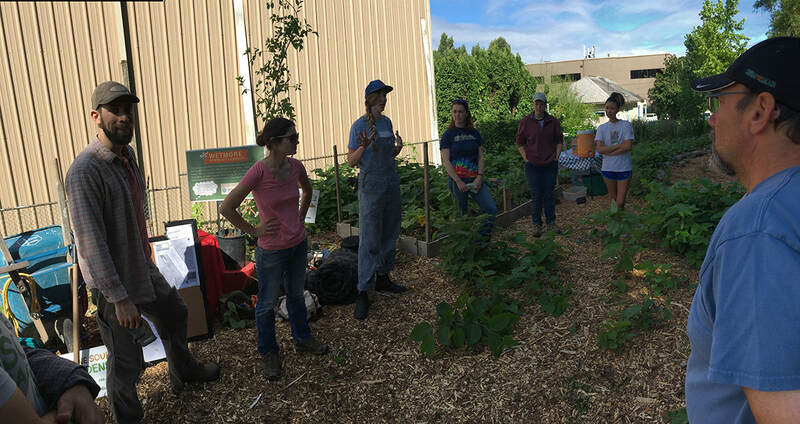 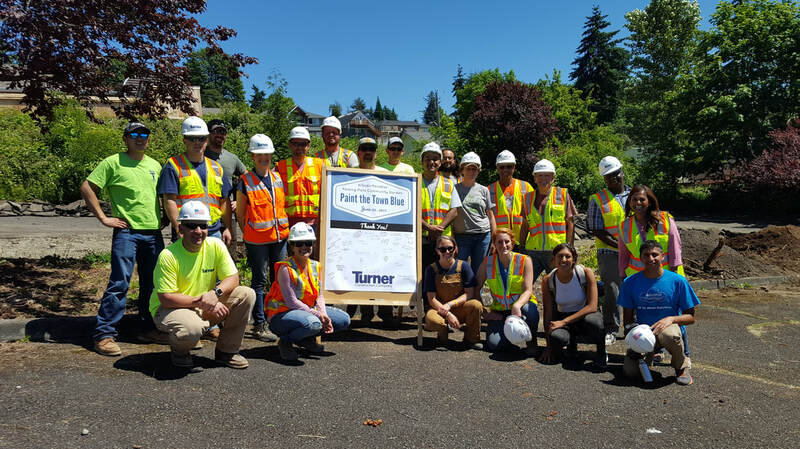 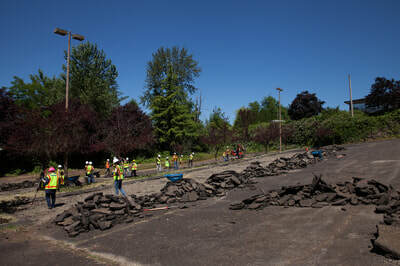 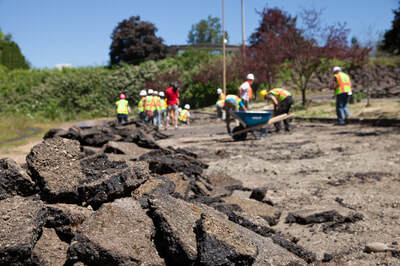 Stone Soup Gardens, through a partnership with Urban Systems Design, DIRT Corp, King County Wastewater Management, and Seattle Public Utilities, provided an educational opportunity for DIRT Corp students, and the residents of Georgetown. 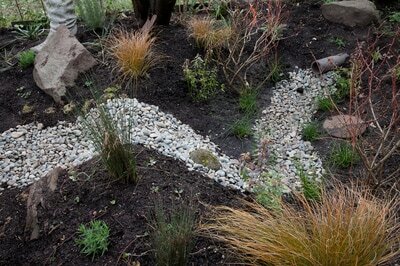 The classes taught the critical importance of storm water management and its relationship to the Duwamish River. 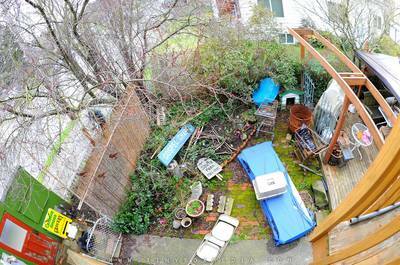 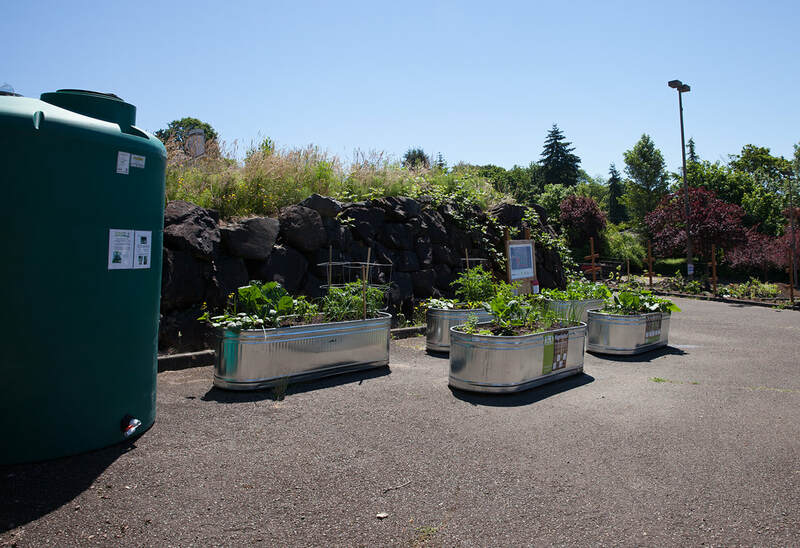 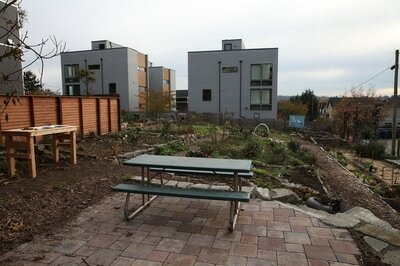 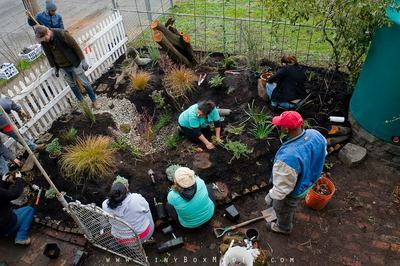 Judkins Park P-Patch: Judkins P-Patch is a perfect example of what Stone Soup Gardens can provide for local, community based organizations creating public spaces. 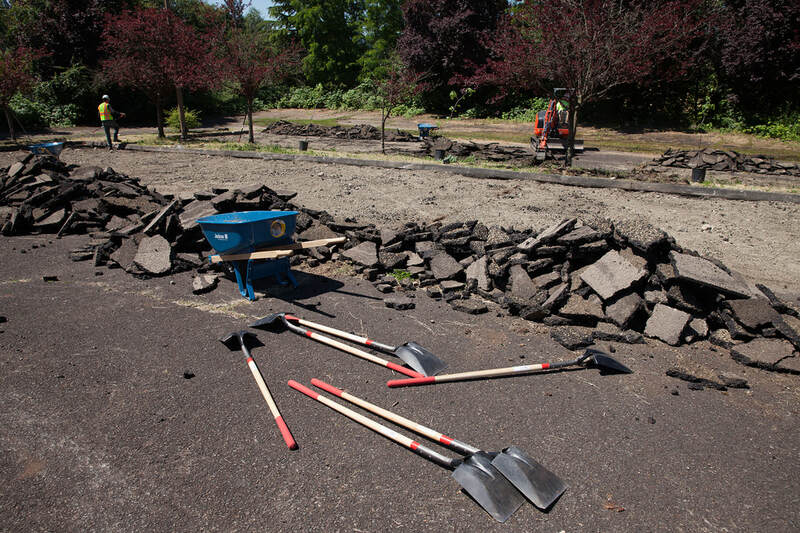 We were approached by the Judkins Park Community Council and the Department of Neighborhoods to create an ADA accessible patio and raised beds, two urbanite retaining walls, and a lovely stone mosaic to welcome folks into the P-Patch. 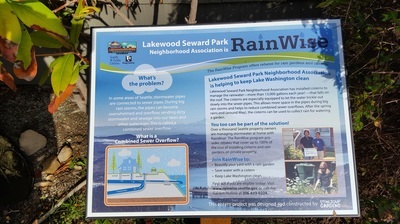 For the design, we worked with the organizations to create a plan that was functional and cost efficient. 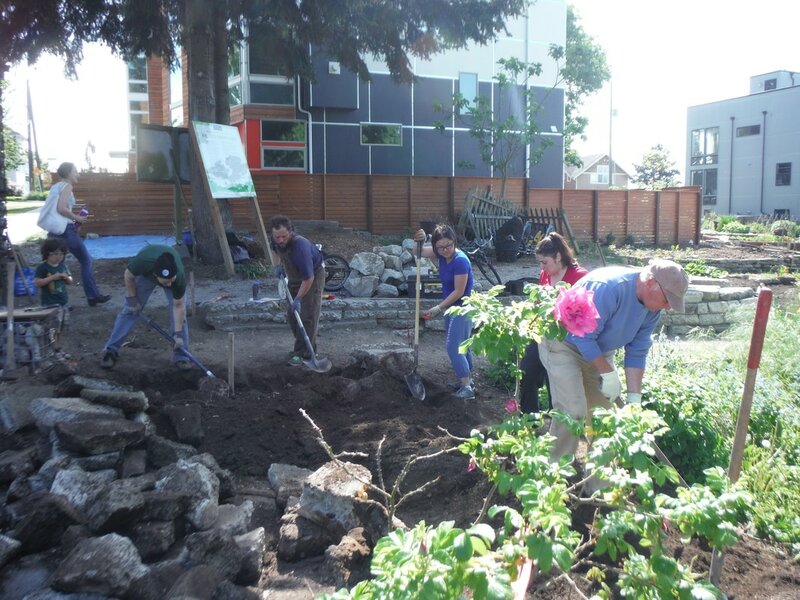 As part of the installation, we led a volunteer work party to install the ADA accessible garden plot. 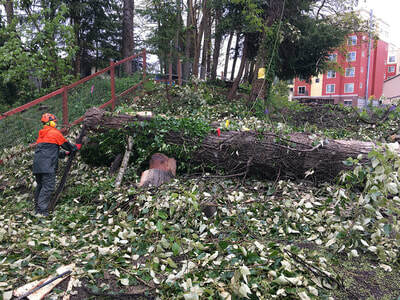 It was a great way to create engagement with the Judkins Park Community, while also developing quality public space. 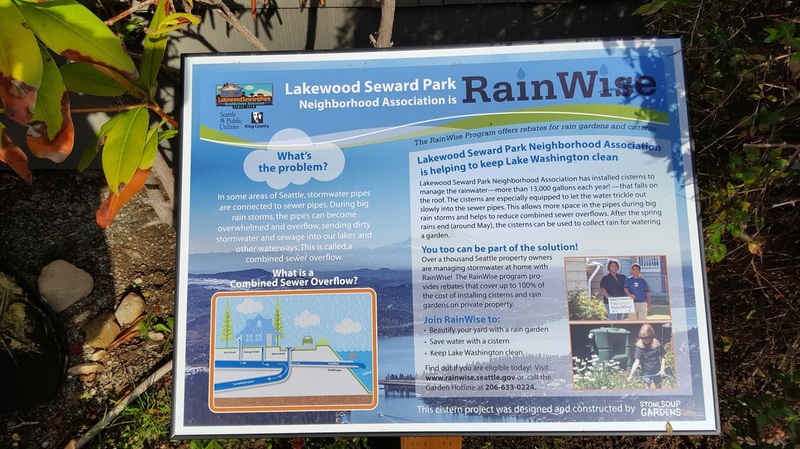 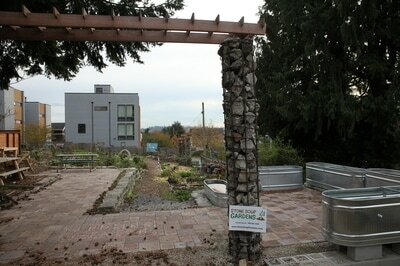 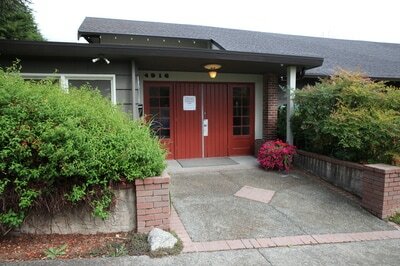 ​Lakewood Seward Park Community Center: Lakewood Seward Park Community Center reached out to Stone Soup Gardens in order to take advantage of the RainWise Rebate Program through Seattle Public Utilities. 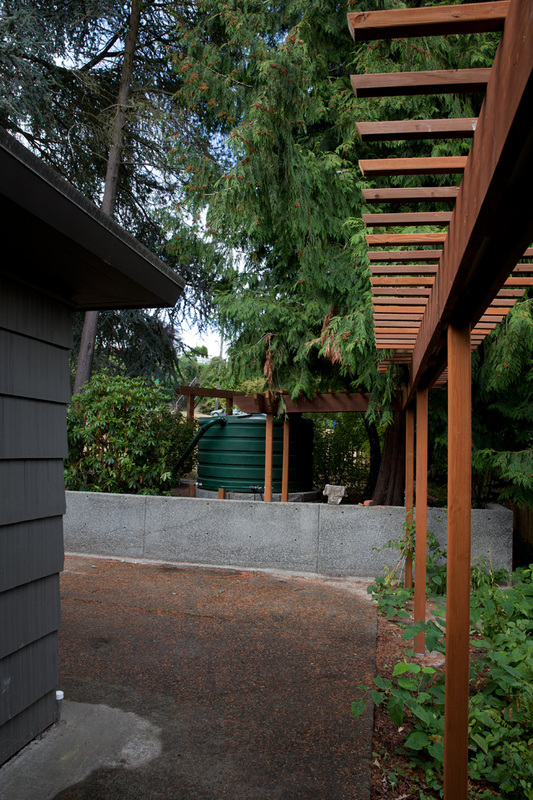 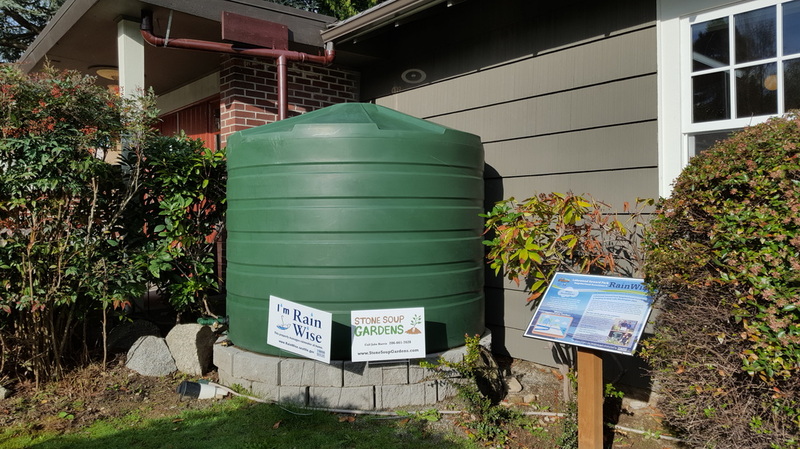 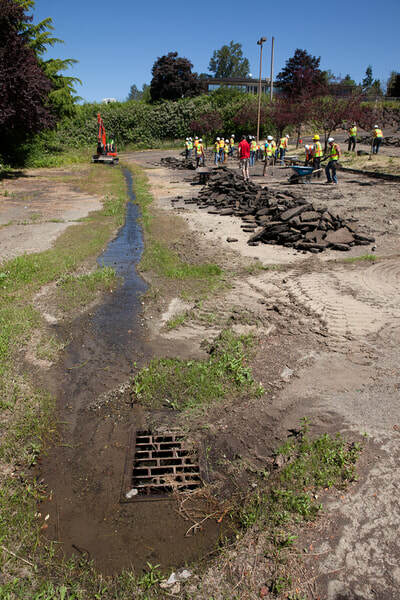 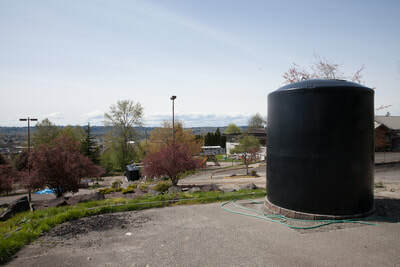 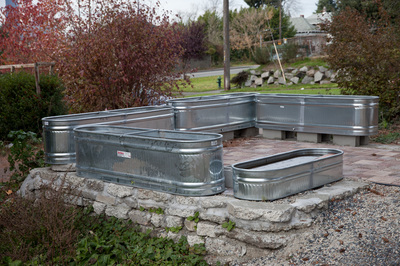 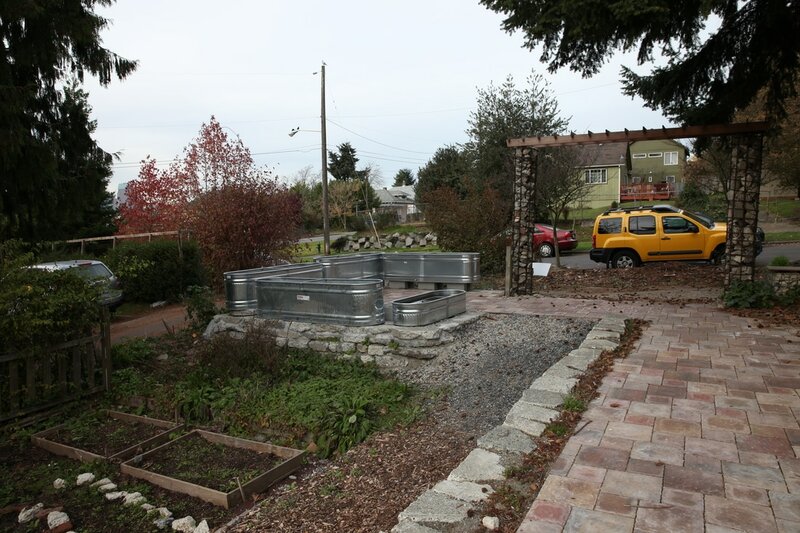 We were able to install two cisterns and an arborduct which will help manage stormwater runoff into Lake Washington, while helping cut down on costs of maintaining the landscaping by using the collected water during the summer months. 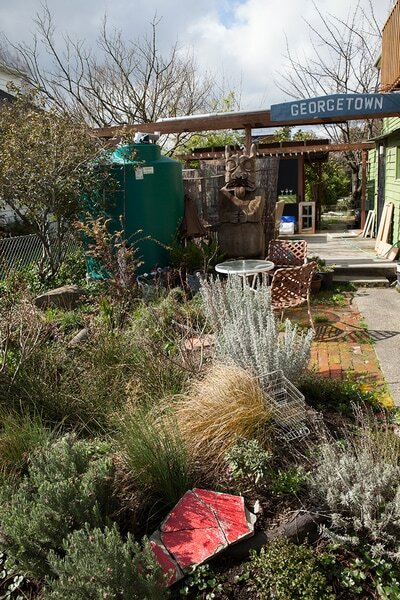 Garden Party and Honey Tasting: Our team loves to host fun garden parties that bring together your community! For this birthday party, our client decided to invite her family to help her install a pollinator garden and pathway along the sidewalk. 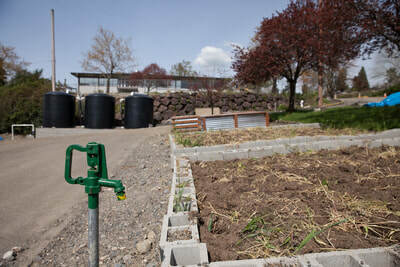 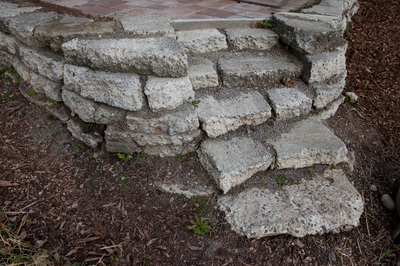 Stone Soup Gardens introduced the pollinator plants, and led the planting of the new garden. We also invited Bob Redmond of The Urban Bee Company to give a talk on the importance of pollinators, while providing a honey tasting. 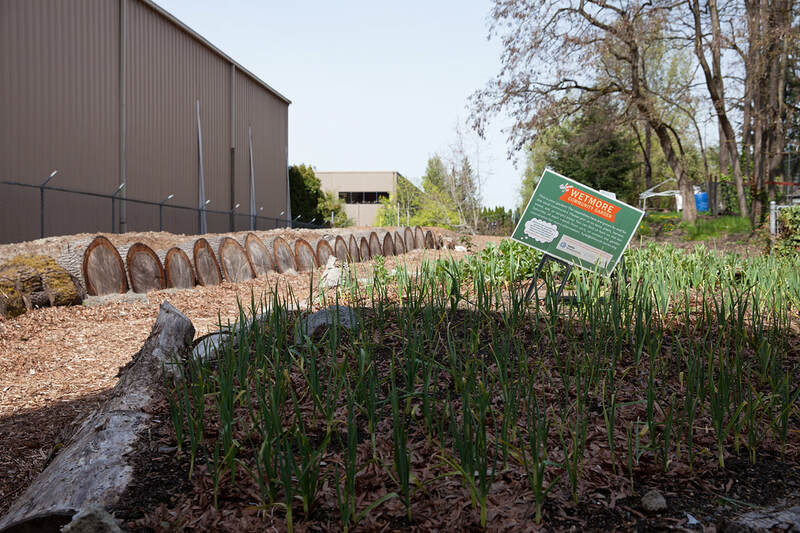 Whether you are looking to install a mushroom patch and learn about edible mushrooms, or beautifying your own garden, Stone Soup Gardens can help. 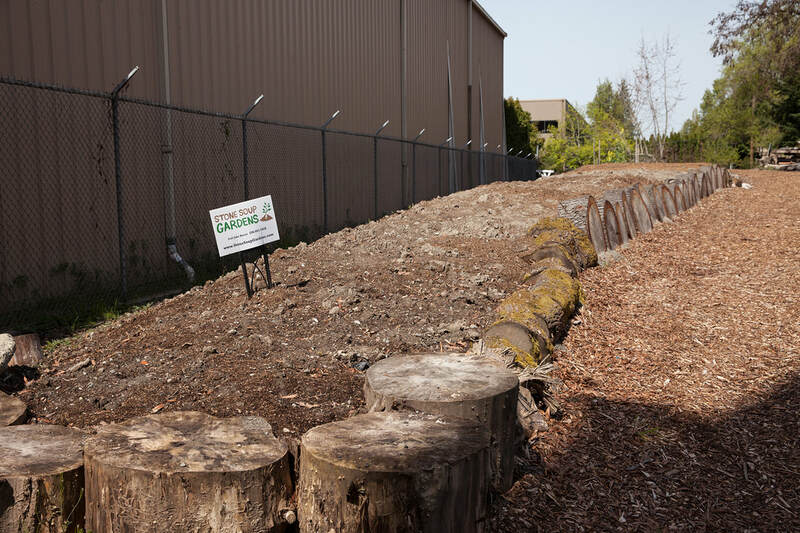 We can provide the design, an educational presentation, the tools, materials, and the leadership to help achieve your dream for a lovely landscape.